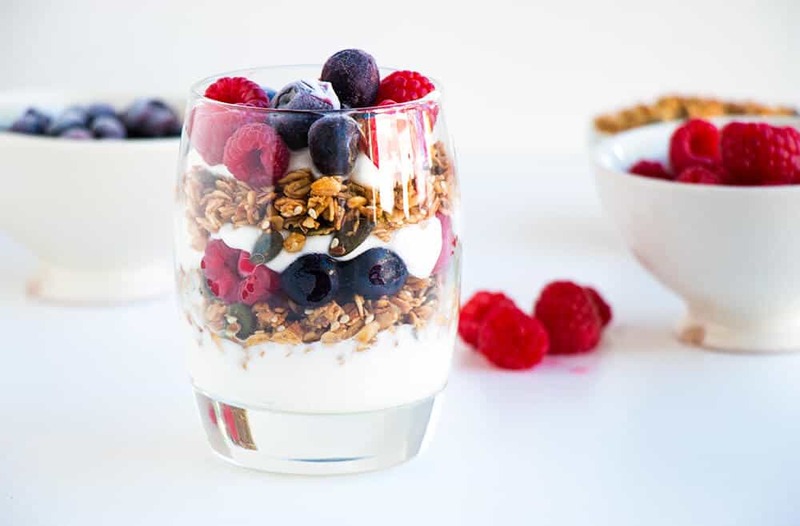 Easy Berry Breakfast Parfait – A delicious, healthy breakfast that you can make in minutes. 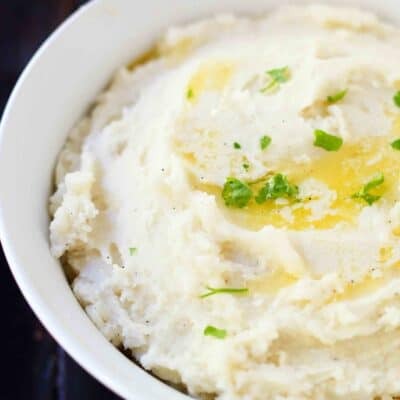 Hello everyone, it’s Jane from Baking-Ginger again with pretty much the easiest, freshest, and most delicious breakfast recipe that you can make in less than 5 minutes. Breakfast is one of those things that has to be quick and easy to make, so that you could literally make it in your sleep. I suppose that’s why most people opt for cereal. But cereal tends to get boring very quickly and most of them really aren’t all that good for you. I often long for something a little more refreshing and energizing to kick off my day. 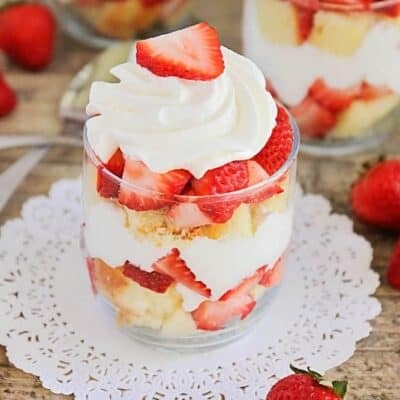 I think that’s why I love making these parfaits so much. 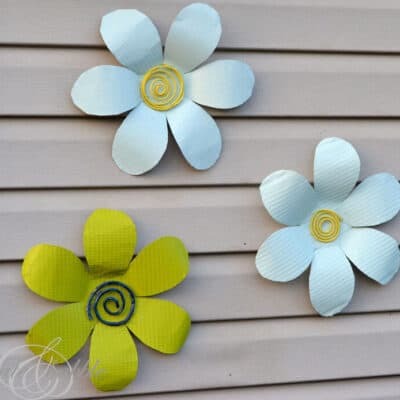 They are simply perfect for spring mornings and so incredibly easy to make. They always look absolutely beautiful and elegant even though they don’t take more than 5 minutes to make. 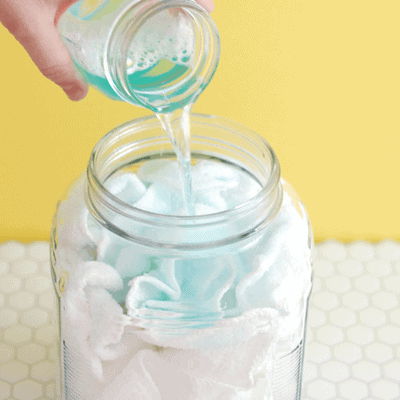 All you have to do is take a glass, or even a jar, then start by packing the ingredients in layers. 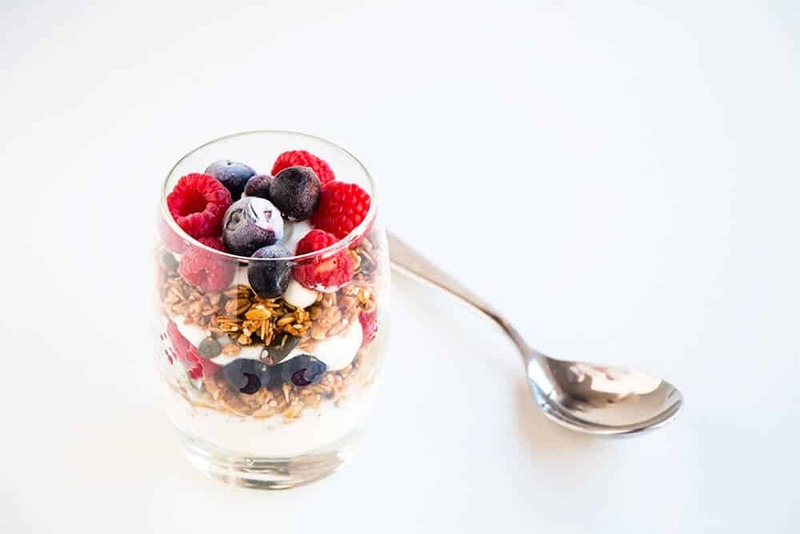 I start with a layer of Greek yogurt, then a tiny drizzle of honey, then I add the granola, then some chia seeds, and finally I top it off with some beautiful fresh berries. Then all you have to do is repeat the process. 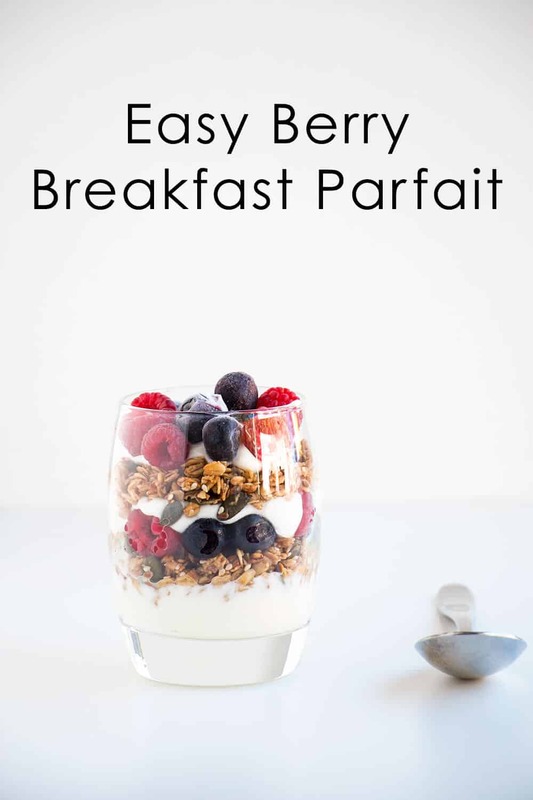 And there you have it, an Easy Berry Breakfast Parfait. 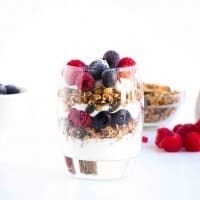 You can really use almost any ingredients, I usually prefer to use homemade granola, because it just tastes so much better and isn’t packed with as much sugar as the regular store bought kind. But if you prefer, you can use which ever granola you prefer. You can also add any of your favorite fruits or some seeds. 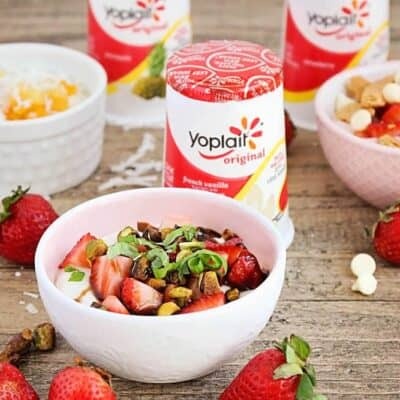 The possibilities are endless and it always results in a fresh, healthy and delicious breakfast that you can whip up in 5 minutes. 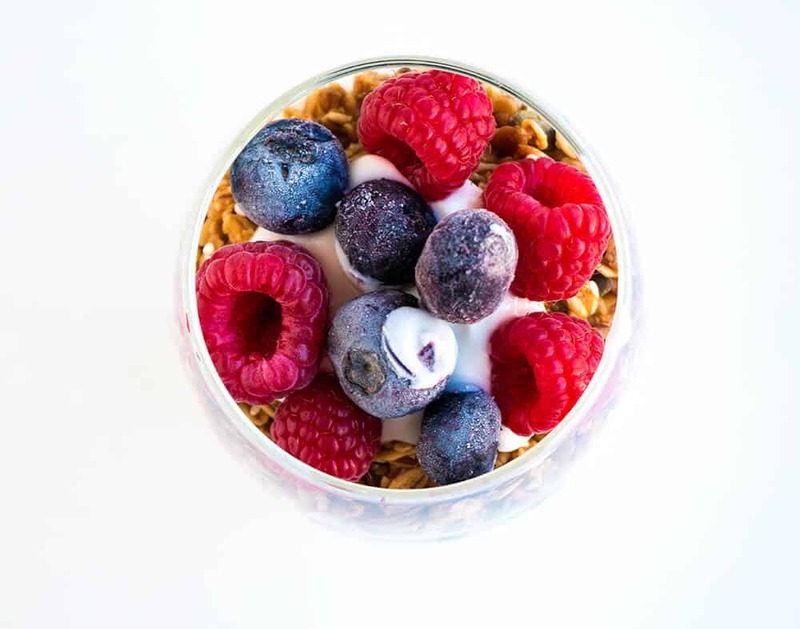 Looking for more healthy, delicious breakfast ideas? You’ll love these, too! 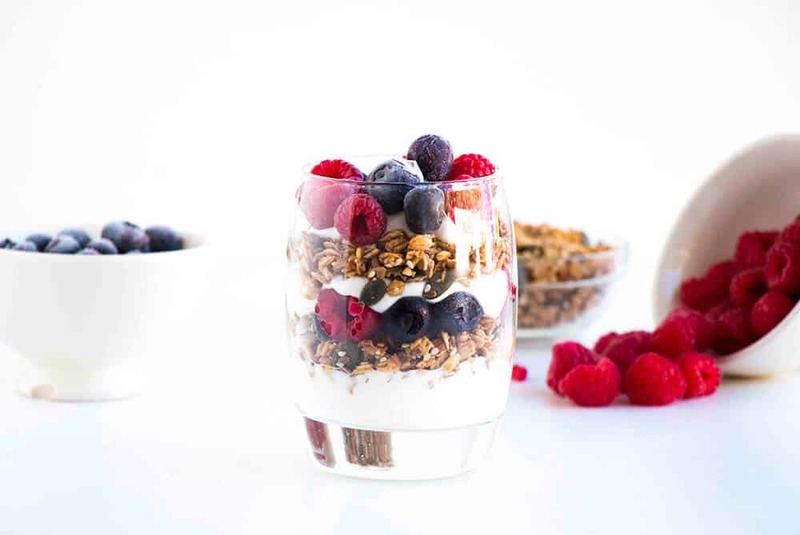 Easy Berry Breakfast Parfait - A delicious, healthy breakfast that you can make in minutes. In each glass, place 1/4 cup yoghurt, then drizzle over a little honey. 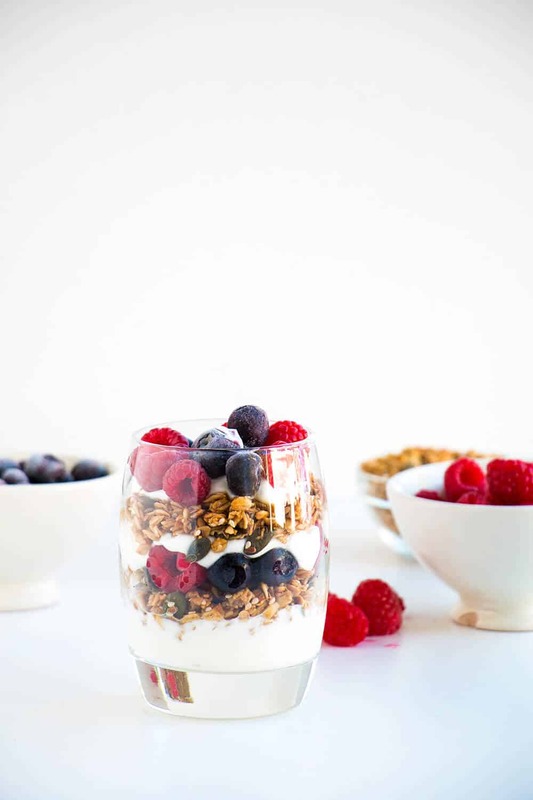 Then add 1/4 granola to each glass, sprinkle over some chia seeds and add a 1/4 cup berries to each glass. Repeat the process for each glass. Top with extra yoghurt and berries (optional). I love quick and easy breakfasts! These are so simple and beautiful!